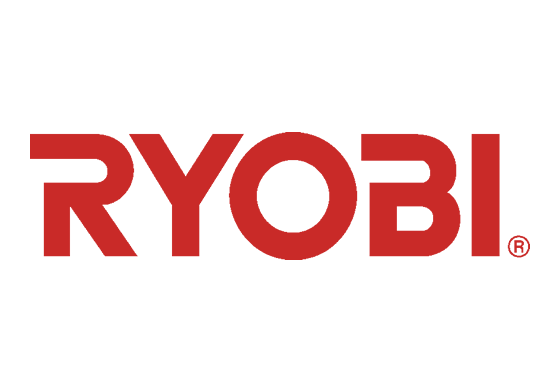 Sydney's Fire Safety Doors, Frames & Hardware Experts. Supply Only, Installations, Repairs, Tags & Certificates. Supply, Install, Tag & Certify - Sydney & Surrounding Areas! 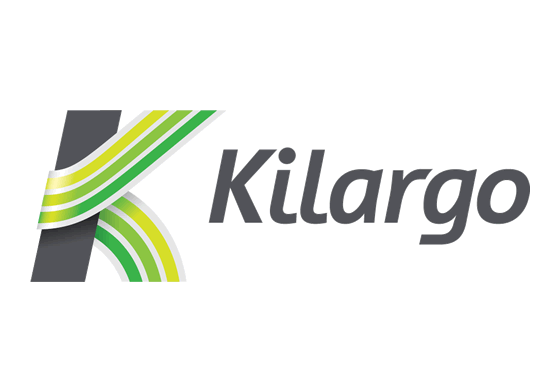 Supply Only - Fast Deliveries Australia Wide! 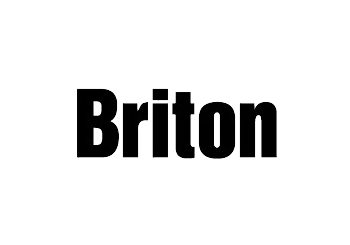 Fire Rate® Fire Doors comply with Australian Standards 1905, Part 1. 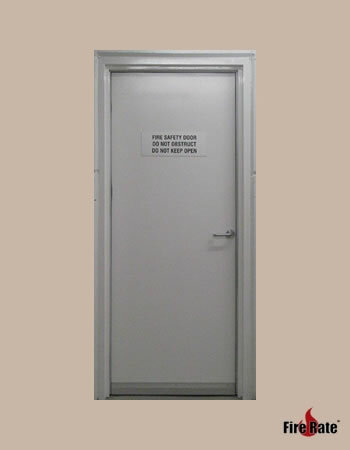 Fire Rate® supply & install custom manufactured noise reduction & security enforced fire doors. E-core sponsored quality fire safety doors across Sydney to suit new & existing fire door frames. Cuts down noise significantly. Add additional sound barriers with Raven &/or Kilargo fire safety products including fire door internal & external smoke seals & drop seals. 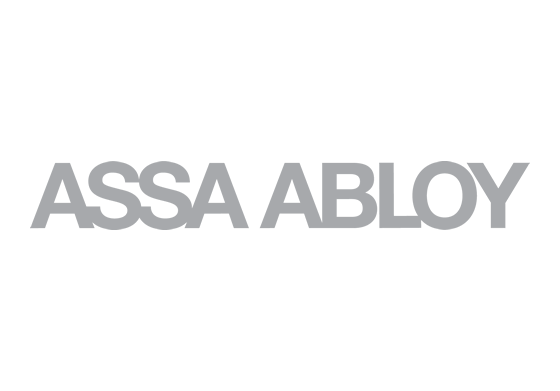 Cold, temperate & hot smoke seal systems available that will also save on heating/cooling with gaps sealed to contain heat & cool temperatures. 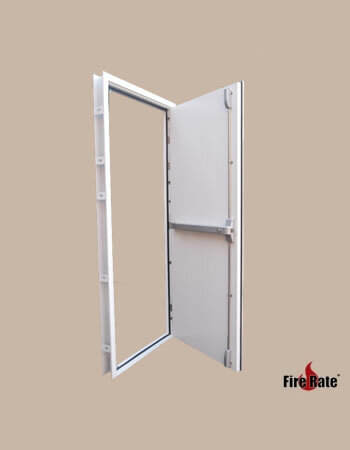 Fire Rate® specialise in apartment entry fire doors. Range of timber & decretive veneers & styles to choose from. 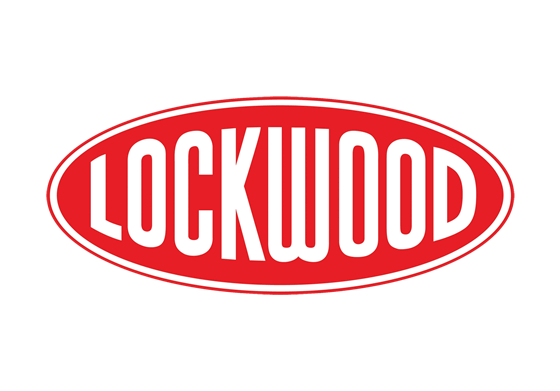 Huge range of lock, extra security & approved fire door accessories. 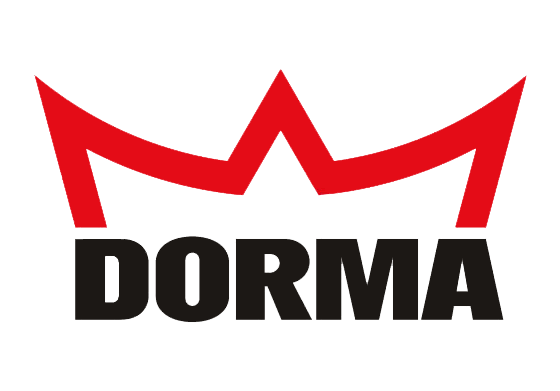 Tested & approved to Australian Standard compliant fire safe doors. 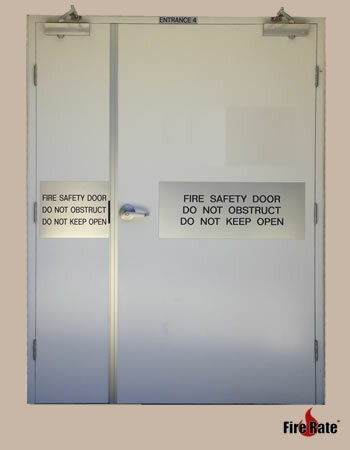 Fire Rate® supply, install & certify custom manufactured Nominal 47mm Thick fire & safety doors across Sydney to suit new & existing fire door (pair) frames. 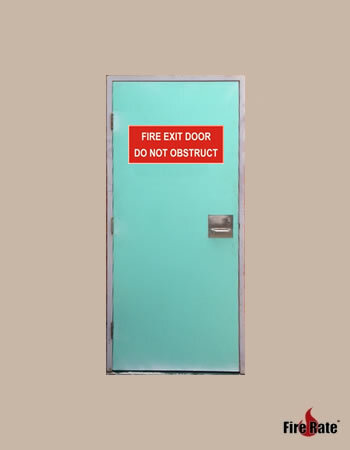 Fire Rate® supply, install & certify custom manufactured external fire & safety doors. Range of sizes, thickness & fire Rating options. Dura-coat external grade fire doors for long life external grade custom doors. Fire Rate® supply, install & certify custom manufactured steel sheeted fire safety doors. 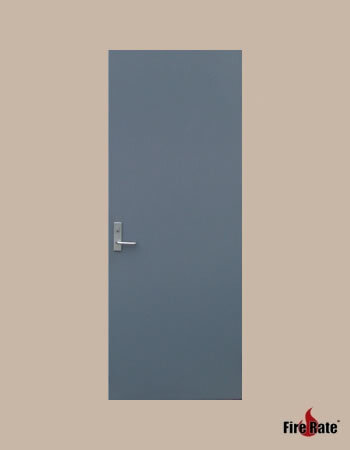 Prolong the life of the door(s) with a choice of zinc, galvanised steel & stainless steel. Choice of thickness to suit your requirements. Fire Rate® Supply, install & certify MDF internal fire doors. MDF is our cheapest fire door veneer on offer. MDF fire doors must be internal dry door locations only. Any water/moisture or locations close to the ocean or water can cause the veneer to swell & fluff. This in turn shortens the life & the door& regular replacements will be required for MDF in wet areas or high exposure to the sun. 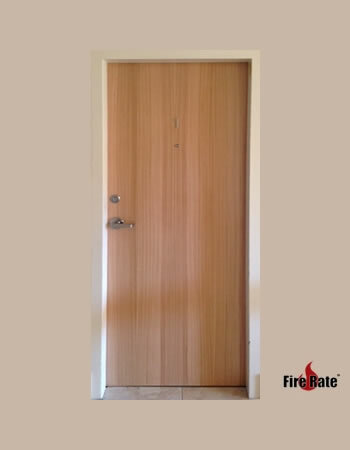 Fire Rate® Supply, Install & Certify, custom manufactured Nominal 35mm or 40mm thick solid core doors across Sydney to suit new & existing non-rated fire safety door frames for approved tight fitting solid core door requirements, service cupboard doors, final exiting non-rated & non-combustible lined doors. Options for non-combustible linings or full steel encased safety doors for extra security & longer door life. These days it's difficult to find competent and reliable tradesmen. 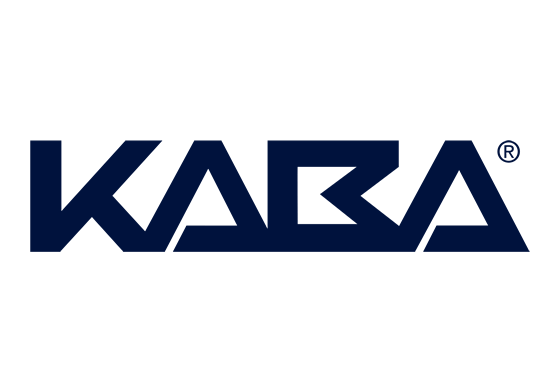 Fire Rate were true to their word with competitive quotes, on time and performed quality work on multiple installations. 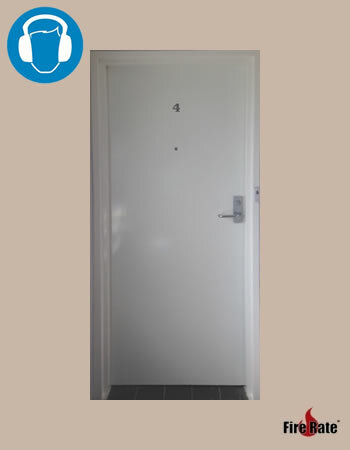 Fire Rate recently successfully replaced 14 sets of fire rated doors including door hardware and 6 sets of fire rated steel door frames for a Fire Safety Upgrade project for a block of units in Freshwater. Professional fire door inspection services for compliance. 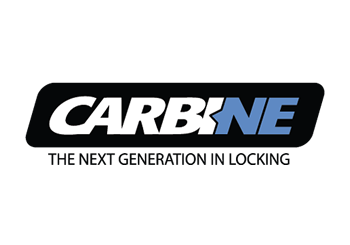 New and Old Fire door and Frame Certifications & Tagging. 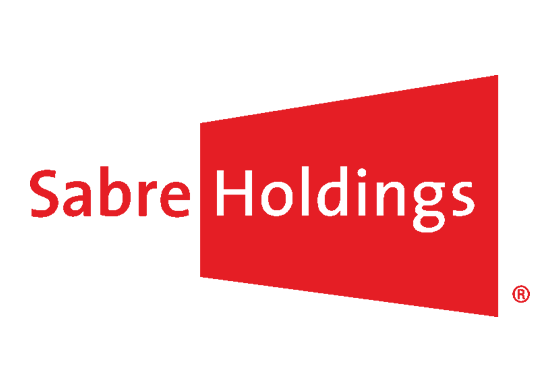 Fire Rate® Detailed Reporting and Door Management.